One of the biggest carnivores on land (at 3.3m or 11ft), descended from the most formidable monsters of mammals imaginable, the tiger (Panthera tigris) treads its own path. Tigers can leap up to 10m, so it can rapidly be on a path near you. As an individual hunter, it is unsurpassed, but as an endangered species, its very survival now depends heavily on us. Evolved in the Pleistocene (2 million years ago), the lion became more like canine animals with its social structure and the tiger just stayed single and "large." The Felidae group evolved 10-8 million years ago, distinct from sabre-tooths and other long-extinct groups. 840,000 years ago, the much-admired snow-leopard became distinct from the tiger species. Of the tiger, there are now 6 living sub-species (unless more research has decided otherwise since 2004) but we've lost 3 recently and all of these remnant populations could go. Their various habitats have disappeared among heaving human populations and despite their more and more nocturnal and secretive habits, a large carnivore needs a lot of food and can so easily be located outside of dense forest. With around 2,500breeding animals left in all populations, each group deeply fragmented, captive scientific breeding seems the only answer. Zoos are known to breed indiscriminately, so this has to be curtailed. having lost the Caspian. Balinese and the Javan sub-species. Breeding overall has lead to pledges to increase the population to 4000 and then 6000 by 2022 (next Year of the Tiger). 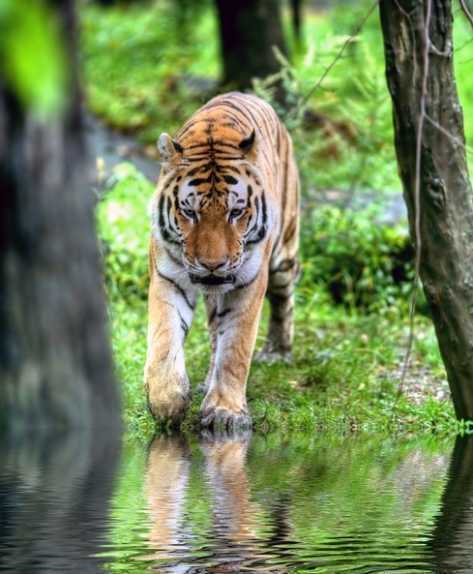 However the habitat decline cannot be stopped, now reaching 93% of the original tiger range. Bhutan heights and the cold Russian Far East are the two current greatest extremes of tiger habitat. Otherwise they occupy tropical forest areas or what's left of them, killing around 50 large (or very large) prey items per annum. 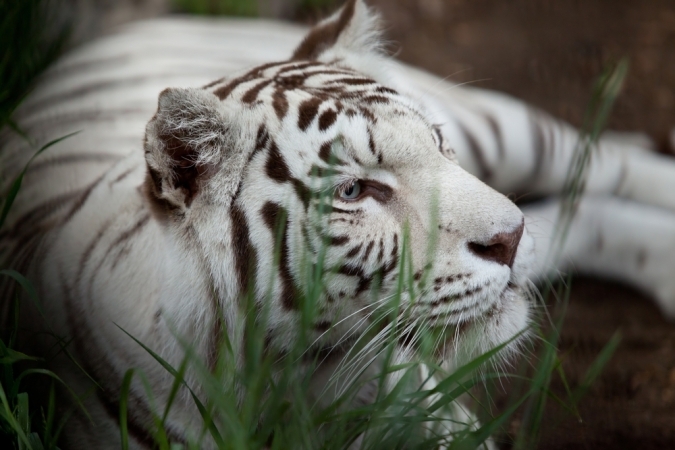 We need to discard the myth of white tigers, as there's no geographical race, only a mutation just as we find white crows, white rabbits and even white gorillas. I think the Bengali sub-species has many white genes in its genome, but especially with zoo inbreeding, they could occur anywhere. Black tigers could easily be bred, and could have been seen (unauthenticated) as you find in the related jaguar! Strawberry blonde tigers, called "golden tigers" are another common coat mutation. Myths are more popular, including many religious biases towards the eponymous tigrish figure. The threat to tigers, especially from Chinese so-called medicines is severe and continuing. Actual danger can be present with such a powerful creature, as with the deaths of 41 people in 18 months between 2001-2003 in Bangladesh. In St Petersburg in 2010, that Year of the Tiger saw a tiger summit which decided to try and double the populations in the wild. Zoos can and do breed a lot of cubs with their cat-like fecundity but the present conservation areas are critical in helping that laudable objective.